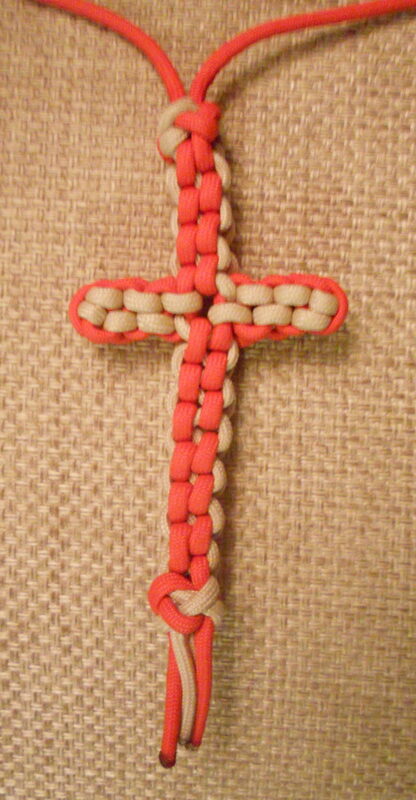 The Paracord Cross is a great decorative charm that also serves as a religious symbol. 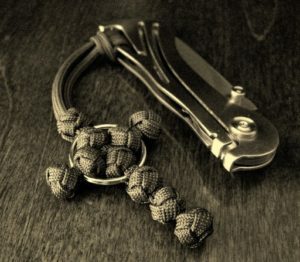 Some cool paracord cross patterns can be made using various paracord knots and braiding techniques. 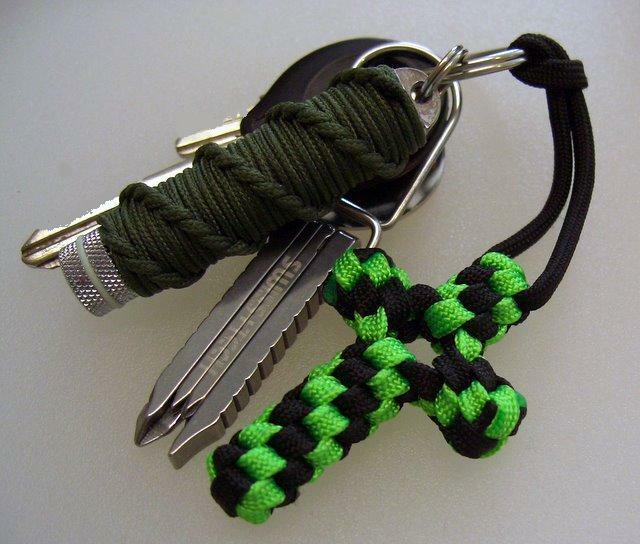 It is a versatile design which can go well with paracord necklaces, keychains, rings, bracelets, lanyards and more. Time to explore some handmade paracord cross patterns and designs. you can add a split/key ring to other knotted cross variations, and this example is done with the lanyard knot using gutted paracord and a 1″ diameter ring. 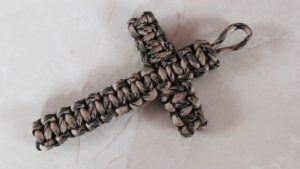 The twisted/spiral pattern paracord cross is made by tying the half knots the same way each time instead of alternating them like you would for the cobra stitch knot using 5ft of 550 paracords. 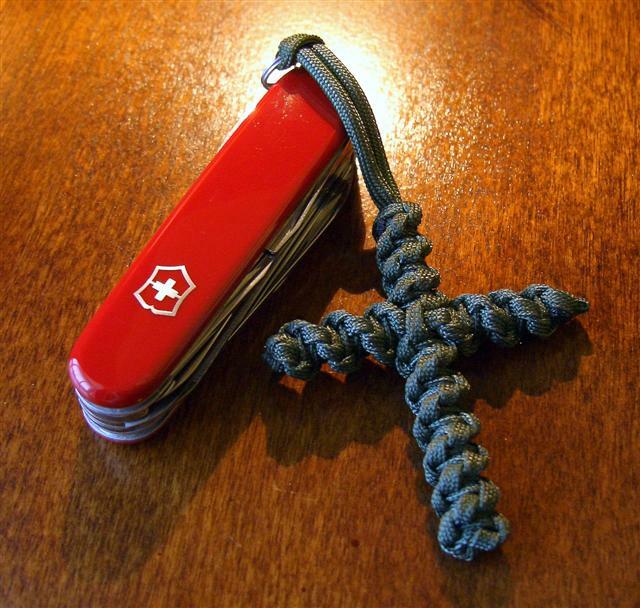 Tying this cool cross to your swiss knife makes a super style statement. 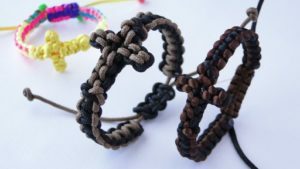 Learn how to make this cool cross paracord bracelet using the sliding knot technique. The black and neon green cross was made with gutted 550 paracord using a round sinnet. 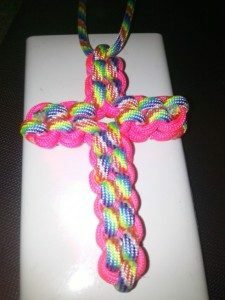 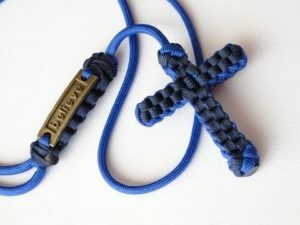 Make a 3 1/2 inch cross using the square braid knot that can be added to a keychain or lanyard, clipped to a backpack, hung in a rearview mirror, and so on. 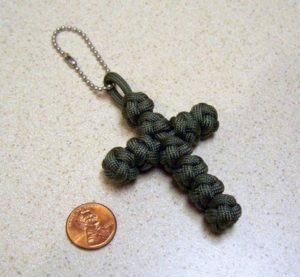 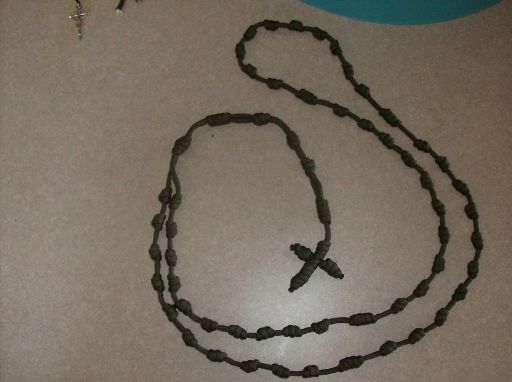 Make your own cobra weave paracord cross for necklaces or lanyards. 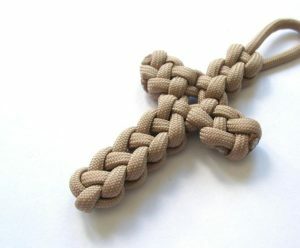 Tutorial for making a paracord cross using a Vertical Crown Knot. 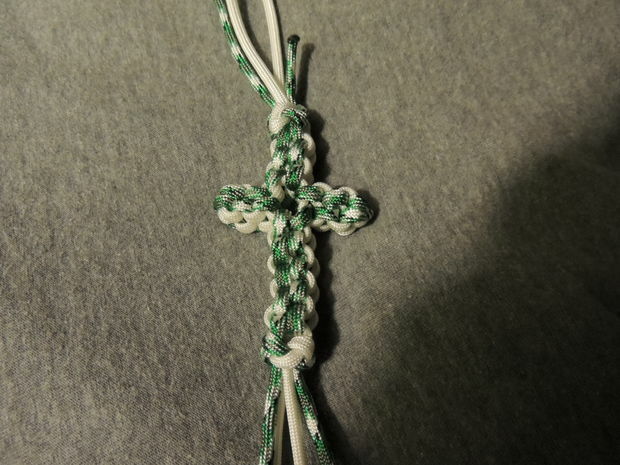 Since this makes two back-to-back crown knots with a side weave it could be called a Double Crown Sinnet. 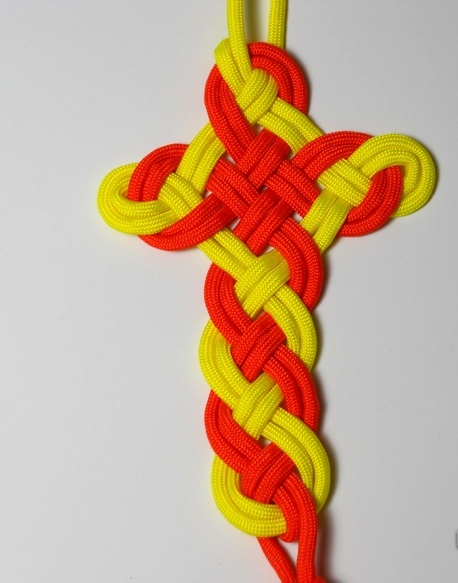 Try tying the Celtic knot for your cross using about three feet of paracord in neon orange and neon yellow. 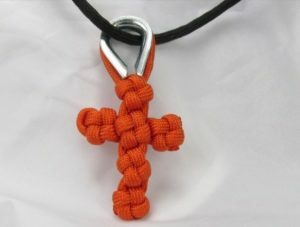 Adding a charm to this box knot cross necklace makes it look a lot cooler! 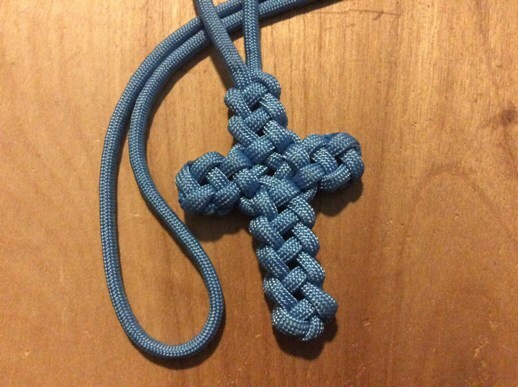 Learn how to make your own paracord cross in this tutorial. 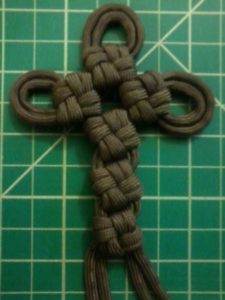 It is demonstrated with step-by-step instructions how to tie a snake knot paracord cross. You can flatten it out even further by removing the inner strands and only using the sheath to make it. Try making this simple cross knot paracord cross charm. 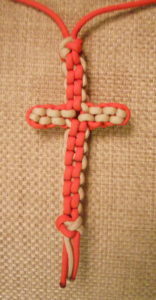 A crucifix or cross can be attached if you like but this tutorial will show you how to make a cross from the paracord. This Cross is made using ‘lanyard knot‘ which is also called a diamond knot/boatswain’s whistle knot/Chinese button knot/knife lanyard knot using 2 strands of parachute cord.